સામાન્ય રીતે જ્યોતિષી ફળકથન જન્મકુંડળીના આધારે કરે છે. જન્મકુંડળી એટલે જાતકના જન્મસમયના ગ્રહોનો નકશો એને જન્માક્ષર અથવા જન્મપત્રિકા પણ કહે છે. ભવિષ્યકથનની સચ્ચાઈ અને સચોટતાનો આધાર જન્મકુંડળીની સચ્ચાઈ પર છે જન્મનો સમય જન્મસમયનો સ્પષ્ટ સૂર્ય અને જન્મસ્થળના અક્ષાંશ, રેખાંશ ચોક્કસ હોવાં જરૂરી છે. જન્મકુંડળીના બાર ભાવોમાં રહેલી રશિ અને ગ્રહોની સ્થિતિ, પરસ્પર સંબંધ, દ્રષ્ટિ, બળ ઈત્યાદિના આધારે ચતુર ભવિષ્યવેત્તા ભવિષ્યકથન કરે છે. તિથિ, વાર, નક્ષત્ર, યોગ, કરણ ઈત્યાદિ પંચાંગના આધારે જાણી શકાય છે. શુભ મુહૂર્ત માટે પંચાંગ આજકાલ સર્વપ્રિય સાધન રહ્યું છે. ગણેશ દૈવજ્ઞ પંડિતના ગ્રહ લાઘવ ગ્રંથની, પરંપરાગત પંચાંગની રચનામાં સહાય લેવાય છે. આ પરંપરા નિરયન પદ્ધતિ પર અવલંબિત છે, ગ્રિનીચ વેધશાળાના પ્રત્યક્ષ ગણિતના બોટીકલ આત્માનાકના આધારે સાયન પદ્ધતિને પણ આપણાં કેટલાંક પંચાંગોએ ઈષ્ટ ગણી આવકારી છે. Nice effort. Keep it up. I am looking forward to follow up articles. Kindly give my kundli details. MY email id :”patelbhavika88@yahoo.com” pls send a mail in my id. i have a god gift because i saw other peason’s future without kundi but couldnot saw my own future.so help about it.in my id in gujarati. MY email id :jp89618@gmail.com pls send a mail in my id. YOUR LOVE FOR BRIGU SANMHITA AND BLOG WILL HELP MANY GUJARATI READERS. Nice job, thinking about believable persons and may be effort for those who are atheist. I BELIEVE IT IS A GREAT &I HAVE OBSERVED TRUE PREDICTIONS FOR SO MANY PERSONS. I HAVE SUGGESTED SO MANY REMIDIES& SO MANY PEOPLE HAVE GOT GOOD FRUITS.THIS IS A REAL BASE FOR FORECASTING FROM JANMAXAR…..
pl. eply whn my marriege happen + my financial position in futur . proper addressfor the same of any bhrigusanhita kendra in GUJARAT. i am intrested to know my future so pls. 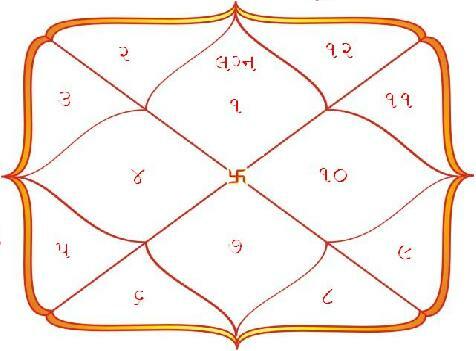 give me perfect astrologer name who done by bhrigusanhita Kendra In Gujarat. my birth detail is bellow. i think your birth time is wrong u have entered. & if you were born at 20:20 (local birth time) then the standard time will be 8:20 at your birth place. yes from long back i am trying to search old edition of bhrigusanhita but didn’t get ,new edition is good but old is gold. i want to know of my future in next coming year. Hi, I am A. Venkat Kumar, DOB 23rd May 1964 time 00.20 am place of birth is Jamshedpur (Jharkhand) I am married and blessed with two daughter. I am doing business since last 7 years.Please tell my future prospects. 1) Son ? 2) Business futute 3) self Home ? 4) Health ? If anyone want to purchase bhrugusmhita then you can get one in ahmedabad behind sindhi cloth market near kalupur railway station there you can ask anyone about the book market and they will guide you the way, which edition u will get I cant say but I got one from there. my name jyoti k bhavsar dob 15/05/1982 plc : baroda Birth time 05.25am. MY email id suvendu_sk1 @yahoo.com pls send a mail in my id. about my future . it gives us guideline for better future & protects us from problems. MY email id vora_1981@yahoo.com pls send a mail in my id. about my future . I WOULD LIKE TO KNOW MY PRESENT AND FUTURE FOR 10 YEARS. my future?when i will get my child? Thank you very much for your Co-operation to all individual person. Can you pliz tell me about my future according to my hoursecope..
i am intrested to know my future so pls. give me perfect astrologer name who done by bhrigusanhita Kendra In Delhi. future ,wealth ,investment, health, life ? ઘણું સરસ, મારો મનગમતો વિષય આ માધ્યમથી ઉપલબ્ધ થયો, ધન્યવાદ. જીવન માં એટલા બધાં કપરા સંજોગો આવી ગયા છે કે કાંઇ ખબર પડતી નથી. ખુબજ વિષમ પરિસ્થિતિ માંથી પસાર થઇ રહ્યો છું. ભવિષ્ય કેવું રહેશે? Please let me know my future. Please tell me my future. NOT.IF YES THEN WHEN IT COME. i confuse in my life when i stand at my turning point….for study,should i go to abrode or nt ?..and which field is better for me for my career? My Deatils are as under. Please send me my kundai detail. When I have stable in Job ? and How it’s Future ? Also Tel me About Finance. i want your adderss&contact no. place of birth Azamgarh u.p. want to know about future? about everything future financial condition? am i manglik ? when marriage will be done? what about future in abroad? already usa visa rejected. and what about study field or carrer field? MY email id :”nimisha.solanki@ymail.com.com” pls send a mail in my id. aa aapno khubaj samruddha granth chhe. if it available free.pdf i am thankful to all of u.
hello,my name is ritesh prajapati,my date of birth is 06.08.1985 and birth time is 19:25 so plese send my kunli wiht prper detail . Kindly give my kundli with details. SO PLESAE SEND ME AS SOON AS POSSIBLE. You have done it once again. Incredible writing! which type of girl i married ? 9:30 pm my time and 8-8-90 my birth date. MY email id :”moxitshah1990@gmail.com” pls send a mail in my id. I BORN IN VADODARA CITY ON 29.03.1964 AT ABOUT AFERNOON 1.50 P.M. PLEASE SEND FULL JANMAXAR TILL DEATH. When saul problem of our marriage life. I am giving u my detail. Place of Birth: Ankleshwar, Bharuch, Guj. Plz send KUNDLI and my future thoughts. i am know my future in gujarati language. i am also know my studies. please, give me kundly, jyotisfal. birth date 31.10.1974 time 6:00am what’s opportunity coming in my future. SU MARI KUNDALI MA MANGAL CHHE. and where i transfer. means form my birth place. to north south east west. in my birthplace or some where else. (2)please give me a proper way of moneyand future. name: janak m zanzmera, birth date: 03/ Aug/1973, birth place: Rajula (Gujarat), time: 07.30 am. pls let me know that i want to start my construction buisness builder line. when my buisness will start? MY email id :”angel88sandip@gmail.com” pls send a mail in my id. my features & mara lagan thata nathi anu karan. i want to know about my job. i m working in angel broking ltd. which is related to stock market.i m as a sales man. but i m not doing well performance. why it doing with me? am giving u my detail. Place of Birth: mavli, Udaipur, Rajasthan. so gooood work for people . i want to know about my marrage life. my birth date is 13/07/1988 time 8:00 a.m.
maru nam disha che hu 2010 ma m.pharm thai chu ane tiyar pachi phd karva mate USA ma 8 jagiya upar application kari hati pan darek jagiya upar thi na avi che.mari janam dt.16/07/1987 che ane janam samai afternoon 13:07 minute che to HU USA phd karva jai saku. my name is balvant,birth time is 10=35a.m ,dt=25/01/1972 at kapadwanj dist=kheda, gujarat. WHAT IS MY FINANCEL FUTURE? મારા આગામી આઠ માસમાં નોકરી બાબતે કોઇ તકલીફ છે કે કેમ ? Bahut Dhan Kamana Chahta Hu. Upai Bataye. mari janm tarikh 9/7/1981 ane time 20/05 gondal 6e. maari kundali shu kahe 6e? Maru naam Upendrabhai Vasudev Dave.DoB 27/11/1958. time 00.40 A.M.
my name is madhu my birth date is 11/9/1977 birth time is 7.20p.m. and birthpalce is Ahmedabad Gujarat. my name is madhu my birth date is 11/9/1977 birth time is 7.20p.m. and birth place is Ahmedabad Gujarat. recently i am on rental premises i want to know when i shall purchase my own flat please give me reply in gujarati if possible and what will i do to touch my ambition very soon. my name is deepak singhvi birth date is 21/05/1979 time 11.50pm in mumbai ghatkopar. i want to know my career ,when my good time to start ,any chance to go abroad for shift,what about my financial position. my name is hiren desai my dob 29/07/84 birth time 1.55 pm b.place surat. i have many troble in my life, now i m married. i m computer oprator . I WANT TO KNOW ABOUT MY SANTAN PAPRTI . AND THERE SOLUATION.ALSO KNOW ABOUT DEAITAIL FUTURE. THANKING YOU. Kindly give my Marriage details. Please give me answer language is gujarati and hindi. Pl. send a mail in my id. birth place petlad. plese make horoscope. When my property litigations with brother will be solved? Please tell me when my property litigations with brother will be solved? namste,krupya ap mere janmaxara ka phaladesh bheje. once again i am posting my querry. please help me. Please tell when my property litigations with my brother will be solved? Weather I will get it or loose it? Or I will have to pay somunt to settle the same? khuba z saras mahiti api chhe. 18.00 22/9/77 palanpur gujrat kumbh lagna ni mari janam kundli chhe. maru nam dhara maheshkumar patel chhe. maro birthday is 12/9/1986, birth time 1:45 P.M. day and birth place umreth(gujarat,India) chhe. hu divorcy 6u mara bija lagn kyare thase ane lagn jivan kevu hase? me pehla love marriage karya hata…mane maru future kehva vinanti 6e..
MY email id :hipenzala@gmail.com pls send a mail in my id. Sir, I want to know about my future and also my marriage.and settled in abroad.about my life partner an all things of her. and i am working in reliance i want to go abroad after few years. so please suggest me. pls tell me about my merrige life..
maru nam vasant chhe maro janm 28/10/1950 ratre 11:45 Ratlam m.p. ma thayochhe to maro dhandho kevo rahese? maro janm 28/10/1950 ratre 11:45 Ratlam .m.p. ma thayo chhe maro vepar kevo raheshe? I am kartik pandya.i want to know about my future life,Please give me answer. 1 How is my Health ? .2.how is my marrige Time & Marrege life. MY BIRTH DATE IS 29/07/1990 TIME 3.40PM AT MODASA[SABARKANTHA]. PLEASE TELL MY KUNDALI BHAVISHYA N GUJRATI ON MY EMAIOL ADDRESS. MY email id :”solanki_gs@yahoo.com” pls send a mail in my id. I want to know of my future in next all life in all relation and please give me answer lenguage is gujrati and hindi. i want to know my future horoscope by brigusanhita specially about my carrier and family. iwant to know the brigusanhita astrologer in indore(m.p.) or near. Why you take so long time . mane bhrugusanhita mujab nu fal-kathan joea che. MY NAME IS JIGNENDRA PANDYA ,KINDALY SEND ME MY COMPLATE JANMAKINDLI ABOUT MY FURE AND MERRIAGE LIFE SIR.I AM GIVEN MY BIRTHDETAIL IN BELOW. Khemana, (palanpur) Guj. che mari kundali ma shu che problem , mare buizness karvo k nokari,etc. mahiti aapva vinanti…. ..maro birth28/1/1983 chhe.time:rat na 10:00 vagye.mare janva nu badhanu saru karva chhta mane jas nathi malto.hu su karu ke to batha ne mari kadar thay. I want to know my janma kundali . plz make my daughter janamkundali . Kindly give my daughter kundli details. meri beti sadi kab hogi. MY email id :”Mahesh.saraiya@yahoo.com” pls send a mail in my id. my name is Prachi Bhatt, my birthdate is 20/04/1989, birthplace-Gandhinagar, Gujarat, birth time- 11:03 am pls mara marriage kyare thase e janavo ane kai rashi vala jode thase e janava vinanti. hiii i m jigar chavda from : surendranagar my birth date : 18/04/1990 , time 9.15 my birth place viramgam , distict. ahmedabad. .
MY email id :”ankitpatel88320@gmail.com” pls send a mail in my id. MY email id :”avtarsvarya@yahoo.co.in” pls send a mail in my id. my name is kamlesh d. mahyavanhshi. mare aagad kai field ma javu joiae, me diploma in mechanical karel 6e. job karvi ke business? & wife kevi madse? mera insurance aur land broker ka bussines hai, usme muje bahut dikkat ho rahi hai to meri birth date aur biirth samay dekhkar koi aesa rasta dikhavo jis se mere bussines ko aur badha saku. give my son kundli details. i m rishma shah. birthdate is 3-10-1989 ; 10:19 am ; ahmedabad. my family is against my love marriage. coz of economical status diffrnc. my love is 25-4-1990 ; 5:28 pm navsari gujarat. What is my future and what kind of girl will i get for merrage..and it will be love or arrenge marrage..
mare koi saru kam thay tayre kharab thai jay che anu karan kayu ane maru nashib pachu pade che jayre hu koi saru kam karva jau chu to kharab thai jay che . my name is nilesh patel. birth time is 11:01 p.m. I want to know about my financial situation in coming months and years. my name is dhwipal r.patel date 2/12/70 born time 4.10am i need my janam kundli and what is my future? my name is pritesh patel birth date 18/10/1990 time 2.30 pm. on diwali day… i want to know about my study and marriage life… if possible… give me a suitable reply on my mail id..
hu ashwin makwana mari birth date 26/10/1988 time 6:30 am . Mane janvu che k mara mate job sari k potano dhandho karvo. please….. Mari Daughter ni Janmakundali(janmapatrika) banavi….please mara Email ma muksho ji…….Tenu Bhavisya kevu hase….etc…. I m surprised to saw this kind of innovation. Warm thank u.
my name is vishal k bhagat . my birthdate is 15-5-1980,. how to make my business succeess? my name is Ashish jentibhai patoliya. place, – hodathali Dist and ta -Rajkot near Femous Atkot, gujarat ,india. mare aagad kai field ma javu joiae, hu CA karu 6u. job karvi ke business? & hu biju su kari saku te janav jo. my name is rahul birth date 27/10/73 birth time 2.28am i am in so much truble right now please give some suggetion..
mara love marreige thase k arrenge te janavo mane ane mane goverment job malse k nahi te janavo k p6i agal job karish k nahi. name – vikram , bod – 15/12/1986, place – ahmedabad, aa ni sathe mara marrege thase k nahi te janavo mane. ane jo mara merrege thase to kevi thase te janavo family ni permission thi k p6i bhagine. i am dob is 1983 nov 19 3.3oam. please i know my janmaxr, dob place in motimarad. I.m fed up with my life, how I can get rid of it ? Mare B.Tech karvu joiye ? hu fail thaya akru 6…… Maru result saru aavtu j nathi…..
my son name is prince.plz send me birth kundli and rashi fal on my email add. MY email id :- delvadiya_darshan@yahoo.com” pls send a mail in my id. MY email id :”smanoj20685@gmail.com” pls send a mail in my id. REply MY email id : milanthakkar26@yahoo.com pls send a mail in my id. i m patel pratik kumar navinchandr. mujhe govnt. job kab milegi ?????? Comment :-Please Send Total Life Kundali at below e-mail id. my name is manojkumar patel, my birthday is 08/08/1967 and time 06/55 AM. Very nice I am very immpress. mari janam kundi banavi aapo. MY email id :”dhaval_viramgama@yahoo.com” pls send a mail in my id. Plz Tell Me How will Pass My future Life ??? sandeep rathod birthdat 20/10/1980 timr 12.10..pm at baswada rajasthan .when i become father.. when i get proper carerr no scope very apsect.. I know My Janam Kundali.. So plz give m e my kundali..
my name-hemangi.d.o.b-02-08-1989.time-10-29pmwednesday.sravansud 1.plz tell my bhavishya. kya aapki kundali acchi hai. d.ob. 16 july,1991. time: 19:40 .place: surendranagar,gujarat. what can be done to improve income? and what to do for career and success in higher level examinations to fullfill goals and desires ? hi my name is durgesh. D. o. time: 03:03 a.m.
plz.give me my janma kundali on my email add.. & when my marrege .whom person.& timing plz.rle.. Birth Time : 12:30 P.M. Please Mane Mari Kundali Ane Mari Kindali Pramane puri Jankari Aapso. hu atyare Full Time ma Pvt. Company ma Job Karu chhu. ANe Part Time Ma Hu LIC Of India Ma Part Time ma LIC Agent tarike kam Karu chhu. To Please Mane Mari Pragati Kevi Rite kari Saku teni Pure puri Jankari Aapso. Ane Aa jankari Aap Mane Mara E-mail ID : Dharmeshvaghela1984@gmail.com par mokli Aapso tevi Aasha rakhu 6u. hu atyare Full Time ma Pvt. Company ma Job Karu chhu. ANe Part Time Ma Hu LIC Of India Ma Part Time ma LIC Agent tarike kam Karu chhu. To Please Mane Mari Pragati Kevi Rite kari Saku teni Pure puri Jankari Aapso. Ane Aa jankari Aap Mane Mara E-mail ID : rupeshvaghelalic@gmail.com par mokli Aapso tevi Aasha rakhu 6u. Plz. Receive my kundali on this my id…..
birthdate 20/07/1982 time-2:30pm place -tharad(n.gujaraj) muje sarkari nokari kab milegi? I am Ravi Kumar. i am sending you my information for my Kundali. D.O.B. 8/11/1959 mara jivan vise , santano, job, sabandho vise vadhare mahiti apva vinanti che. pls i want to know of my future in next all life in all relation………..
please mari kundali ni jankari apso lagna yog kyare? Maru name Umesh Bhavsar che. Hun originally godhra no vatani chu ane karma mannaro chu. Hal ma Canada ma rahu chu ane adhyatmic vishayo ma undo ras dharavu chu. Maru manvu che ke je kain bane che e apna purva janmo na karmo ne adhin che. Etle mari tamne saune request che ke shakya bane tyan sudhi bhavishya ni chinta karya sivay tamara vartman ne sambhali lo. Ena mate tame unmarried hoy to mata-pita ni iccha pramane vartan karo. Emne man apo emni har ek marji mujab j kam karo. Mari tamne khatri che ke tame game te line ma haso tamaru kam chale rakhse. Ha, taklifo jarur avse pan eno nikal pan thai jase. Bhavishya ne janvani koi jarur nathi ane janva prayatna pan na karso evi mari tamne saune vanmagi salah che. ” pls send a mail in my id. TIme: not sure but 8:30 to 9:00a.m. mera future kaisa he. aur meri sadi hogi ki nahi please muje batao.bcoz meri mummy bahut tension me he. dob 11-04-1967 time 17:32 ahmedabad guj i want second child which time is the best? no medical problem. and imp tips pl help me. What to do Kundli is not matching but we loves each other so much? Muje meri saddi ke bare me puchana tha meri saddi kab hogi or meri marrige life kesi hogi. mara marriage kyare thase? lagna bandhatu nathi. atyare uk ma chu. uk ma lagna karva che. I want to kanow my future important about(love & abroad ) can yoy tell me about my job & buisness. foreign settlemet, Job, n all life predictions.. BIRTH DAY DATE : 11-06-1993. HU MCX MA SILVER NU TRADING CHALU KAREL CHHE TO HAL NA SANJOGO MA KEVU PHAL AAP SHE ANE BHAVISHYA MA KEVU PHAL RAHESE? BIJU HAL MA MARE REAL ESTATE MA SHOP CHANDKHEDA BAJU LEVI CHHE TO HAL MA KEVU CHHE? my comment is awaiting why? please say me about my job. hello maru name sakina makada chhe mari janma tarik 20 oct 1986 chhe ratre 11.10 pm chhe hu koi pan job ma Stable nathi thay saki mane sari job malse k nahi ane te mate mare su karvu padse te pls mara mail id par janavso…..
my birth date is: 10 june 1992 birth time: 3.05(pm) birth place: rajkot,gujarat. plz send me my janamkundli & tell me what to do for my marriage. Birth Time : 5.17 p.m.
hi sir please give tell my bhavisya…………..
What the Goal I can Set.? which type of business will Flow me towards Goal. plese manne maru bhavishay ane mane sarkari naukari males k ane mari janm kundalil ane mane pragti kyare males. Date of birth : 15th Aug. When I Will Get Married? How Is My Married Life?/??? MY email id :”tejas_1988@hotmail.com” pls send a mail in my id. NOT Satisfaction IN WORK & WITH FRIEND. please tell me when will settle my own business. right now i am facing lots of trouble in my life. when it will be slove?? i want jamakshar in gujarati. meri sadi huve 10 sal ho gaye hai. abhi tak hame santan nahi huva kripya muze batayenge ke santan kab hoga. uska upay bhi bataiyega, maherbani karke. MY FUTURE , MY MARRIED LIFE , MY CHILD .PLEASE GIVE PREDICTION FOR THIS YEAR 2014 . PLEASE I M FRUSTRATED. MY email id :”rupaparauday@gmail.com” pls send a mail in my id. Maru Nilesh, D.O.B 26.10.1984, Birth Time :09:15 pm, Birth Place: Jaska, Ta: Dhandhuka, Dist: Ahmedabad, Gujarat—Hu ek privet Company ma Naukri karu chhu chhela 8 varsh thi pan salary ma bahu khas vadharo thato nathi tethi hu Lobour contractor ni line ma java ni Ichchha chhe to mane safalta malashe? Name :- Shailesh Ambalal Mistry. sir please paisa milneki nahi balki manki santi mile aisa aisa koi yog \pooja batay thank you..
tell me my feture & my love career ans work what we do best in . KYARE MAKAN LEVA SE KEM? FAMILY LIFE , FOREIGN TRAVELLING , HEALTH, INCOME PRESENT LIFE, FUTURE LIFE ETC JUPITER PUKHRAJ WEAR IT OR NOT. mari janam kundali ni detail parthi mare janvu 6 k mane job kyre madse ane maru vivahit jivan kevu pasar thase….. mari D.O.B. 23/03/1991 che ane place jamnagar samay savarna 11:02 a.m. no che. i want to know of my future in next all life in all relation and please give me answer lenguage in gujrati or hindi. please given to all currect reasion.thank you. MY email id :”yagnikrathod007@gmail.com” pls send a kundli in my mail id. name ; Kalpesh chavhan , DOB = 27/10/1980 ( 8.25 Pm.) Vadodara. facing problem regarding career & job stability. want to know my future and my lif patner ????? i knw abt my future. my b.d 29 apl 1978. b.time 12.30 pm. b.place anand guj. mob no. 8530731088.
ane mara mate business saro ? MY email id :”mehulmalaviya123@gmail.com” pls send a mail in my id. shubham was born in jamnagar city gujrat dated 6/3/2008 time 7.00 P.M.
MERA SAWAL HE KI MERI SHADI KAB HOGI………..? શૈલેશ જી. પટેલ મારૂ નામ છે. મારે મારી જન્મકુડળી જોવી છે તથા તેનું ફળકથન જાણવું છે. તો મને આપ ભૃગુસંહિતા પ્રમાણે જણાવશો. time of birht :- 02:00 am. hu naukri karis ke pachi busniess……. mara marrige ketla samay ma thase………. Sir mri job maa maru koi pan rite selling thtu nathi hu ketli pan mehant karu chhu. Name : SANJAY G GUJJAR NITA S GUJJAR Place Of Birth:-CHANDE KASERE , Place Of Birth: VADODARA State :Gujrat SHIRDI , MAHARASHTRA Country :India Country :India Kindly give my kundli details. MY email id :”padianilesh@gmail.com” pls send a mail in my id. mare mara husband thi divorce leva che ka k mane emni sathe maru future aagad vadhe aevu lagtu nathi ka k mare kae mari life mate aagad vadhvu hoy aema mane na padi de che ane mane divorce aapvani pan na pade che ane hu kav k mane divorce aapi do to mara par hath upade che ane achanak gaekale mane k tu mane divorce aapi de pan me na padi ka k ae hath upade che aena dar thi. mara divorce kyare kevi rite thase mane ae janavso? MY email id :”brijennishar27@gmail.com” pls send a mail in my id. kindly give me kundli details. muzhe longitivity ke bare me puchna hai. mera Mangal 8th bhava me hai es liye !!! my email id : jalpa2042001@hotmail.com. B’date-1/4/1964 time-4:00am please give my life reading. hi maru naam anil gohil chhe. mari date of birth :-01/11/1990 chhe. ane time :- 2:00pm chhe. Sir, My name is Vasant. I m note stable in any where like home, job, samaj etc. 1) My study: I will try many times. Pls tale me any solution. pls give me answer in gujarati or hindi. Mara bhagya ma shu chhe? Mari janam kundli ma shu chhe ? MY email id :”mayankmba@yahoo.com” pls send a mail in my id. Mara kundali ma santan yog kyare 6e te janvu 6e. Mare marriage ne 3 varas thaya 6e. I wants to know abt my daughters kundli. hi..DOB: 14/09/1988TOB: 04:00birth place :petlad,anand,Gujrat pls ..give me my name solution ..should i change my name ? bcoz name is nt on rashii confuse in my life when i stand at my turning point….for study,should i go to abrode or nt ?..and which field is better for me for my career? lm merrid, Govrment job chance? Maare kyo dhandho karvo yogya ganaase? My Name is Vishal Govindbhai Maru and my born is Surat(Gujarat) on 17/12/1983 at 07.00 PM. I want my Kundli in Gujarati Language and i want better future for solution. MY email id :”ankitthakar079@gmail.com” pls send a mail in my id. My daughter name is rihi dadhalwala. Kindly to make my daughter janam kundly in hindi and gujarati. I want to know her future dat how her future. Pls pls give me ans.at my email adress. state-Gujarat. India. birthtime- 4:30am. kindly give your openion for my life…..
what about my Job Career & Family Life. DOB:- 02/05/1976, TIme of Birth- Between 5:00 a.m. to :5:15a.m. meri enaguagment ho gai he muje mere marriage life and career ke baare me jaan na he agar or kuch bhi khas ho to uske bare me bhi jaan na he. MY email id :”chavdasanjay40@yahoo.com” pls send a mail in my id. Sir mare gharnu makan kyare thase ?? Kindly prepair the kundali from the details as under. So pls let me know. plz send my janam kundli in gujarati . Please detail of my janm kundali. MY email id :”jitendra_raj53@yahoo.com” pls send a mail in my id. Can u send me my KINDALI!! Can u send me my KUNDALI!! Please give me a full janmpatrika. MY email id :”hp6646@gmail.com ” pls send a mail in my id. DOB: 9th July 1964 at 11:45 AM in Rajpipla Gujarat India. Kindly let me know some remedies to get out from financial crisis. My life is has became misearable. Please guide me. Thanks. And yes one more thing wanted to know some characteristics of the guy how he would be and other related stuff …. I want to know about my study. What i will be. Can i top in special stream? In short me kitna Padh sakuga. Kaisa Padhuga. Life kabhi top kar sakuga? why i m struggling lot in my life. Please give me my life reading…. Live in surat.i want to die…suicide…i m totally narvous because of family problems…give answer in gujrati or hindi. I am suffering money crissis…can you please guid us…when i join job. Sir , my last 12 year career – i change 6 company…so please tell us my future… Job change continue in my life. Kindly give me details about my marrage time, marriage life and lyf partner and about inlows family. Please give me detail my kundali and also my future.